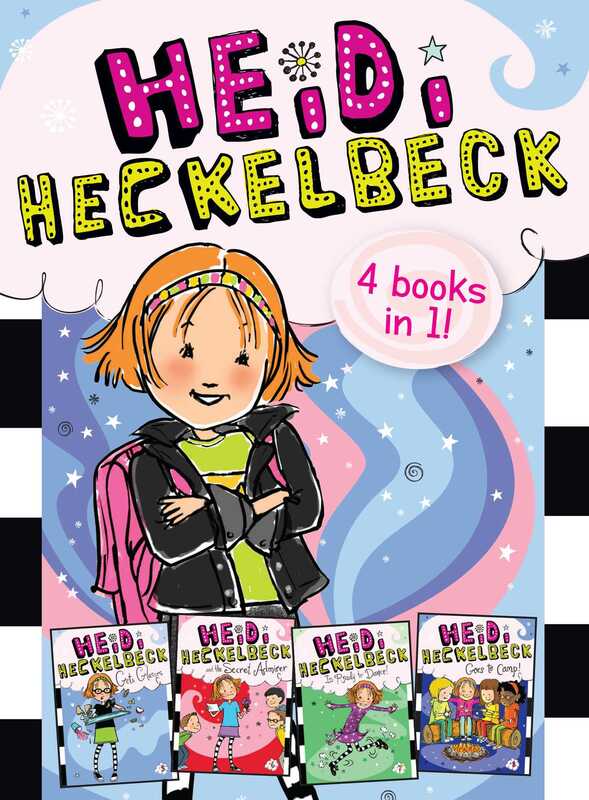 Heidi Heckelbeck 4 Books in 1! Heidi Heckelbeck Gets Glasses; Heidi Heckelbeck and the Secret Admirer; Heidi Heckelbeck Is Ready to Dance! ; Heidi Heckelbeck Goes to Camp! Four witch-tastic Heidi Heckelbeck stories are now available as one magical book! Join Heidi Heckelbeck and her friends as they deal with getting glasses, discovering secret admirers, going to camp, and more in this four-in-one chapter book collection that is full of magic with easy-to-read language and illustrations on almost every page—perfect for beginning readers! This book of four Heidi Heckelbeck adventures includes stories #5–#8 in the series: Heidi Heckelbeck Gets Glasses; Heidi Heckelbeck and the Secret Admirer; Heidi Heckelbeck Is Ready to Dance! ; and Heidi Heckelbeck Goes to Camp. Wanda Coven has always loved magic. When she was little, she used to make secret potions from smooshed shells and acorns. Then she would pretend to transport herself and her friends to enchanted places. Now she visits other worlds through writing. Wanda lives with her husband and son in San Jose, California. They have three cats: Hilda, Agnes, and Claw-dia. Priscilla Burris has illustrated numerous books for children, parents, and teachers. She enjoys cake painting and creating art for products that include murals, greeting cards, and rubber stamps. Priscilla lives with her family in Southern California. Book Cover Image (jpg): Heidi Heckelbeck 4 Books in 1!